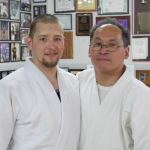 Kearny Martial Arts is proud to announce our newest Black Belts! 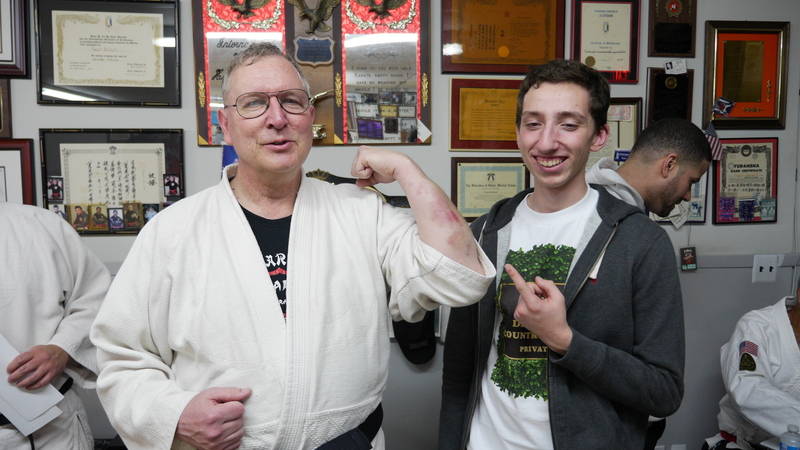 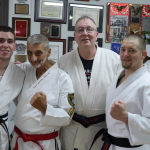 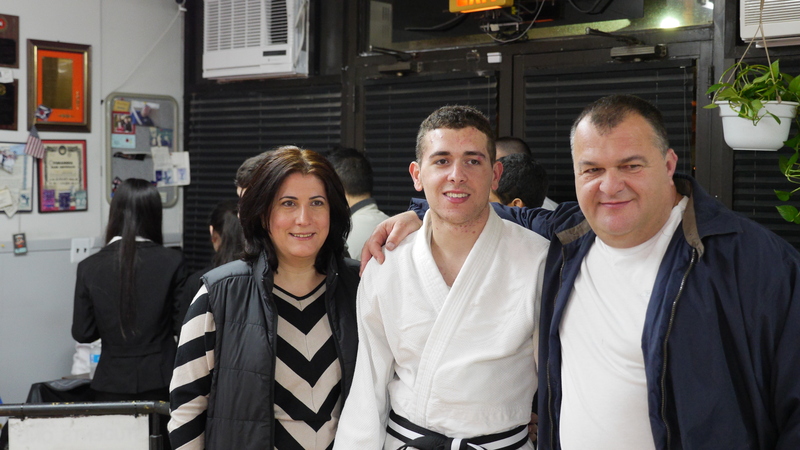 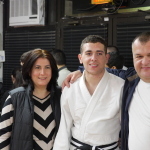 Grandmaster Vincent Marchetti presided over the first ever KMA Black Belt Test held on a weekday. 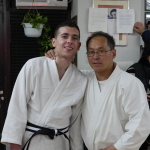 Grandmaster arrived on Thursday April 10th in the morning and the test was held at 6PM that evening and lasted well past 10PM. 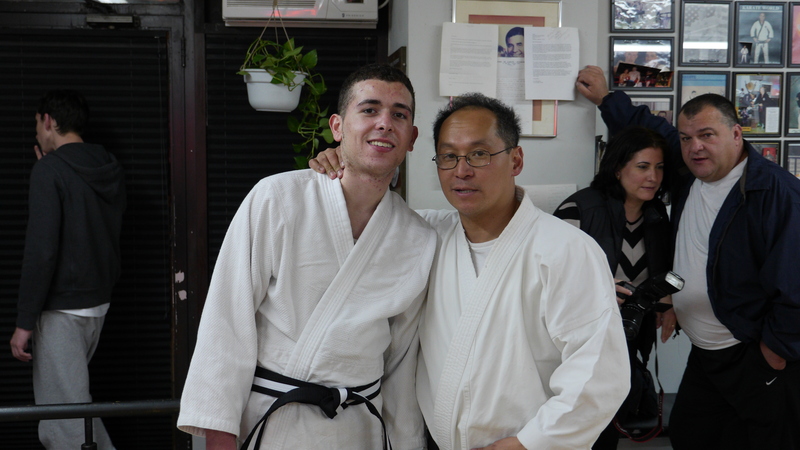 Two candidates received their Sho Dan rank along with one teenager who received a Jr Sho Dan rank. 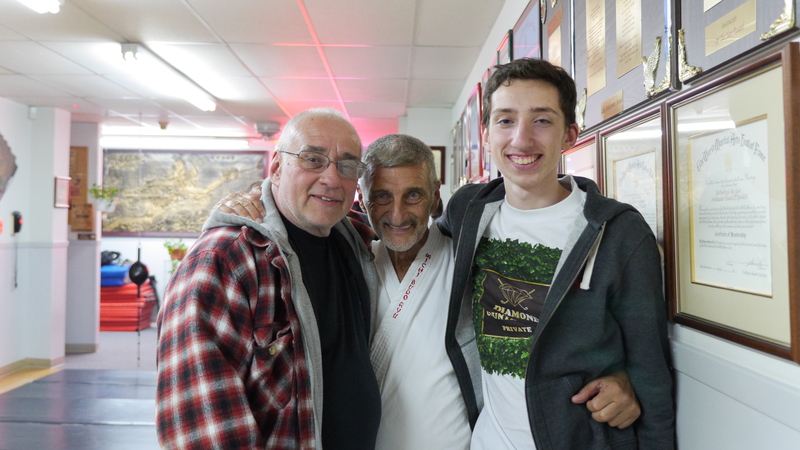 Grandmaster Marchetti was extremely pleased with the performance of both the candidates and the students that attended the test as their opponents. 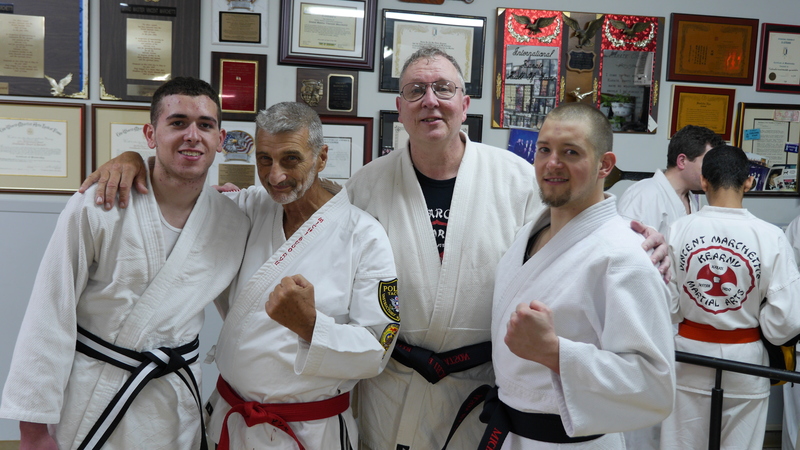 Consistent with our tradition, the test consisted of a mixture of full contact matches in all three arts that comprise Michi Budo Ryu (Karate, Judo and Ju Jitsu). 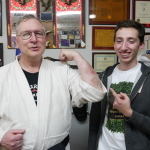 Each of the candidates also was required to demonstrate knowledge of the history of the Japanese martial arts and culture. 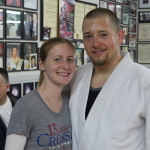 Pictures from the test are posted below. 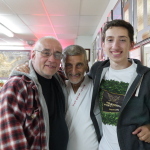 Grandmaster Marchetti’s weekend in New Jersey also included a visit with his students to the grand opening of Junkyard Dogs restaurant in Brick, NJ. 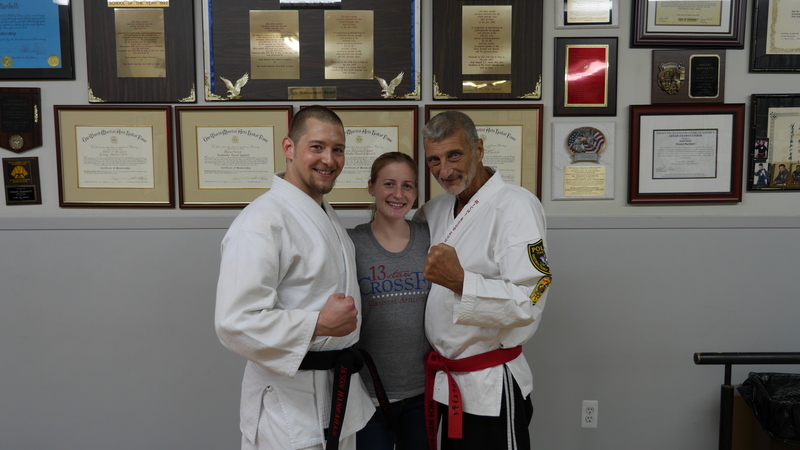 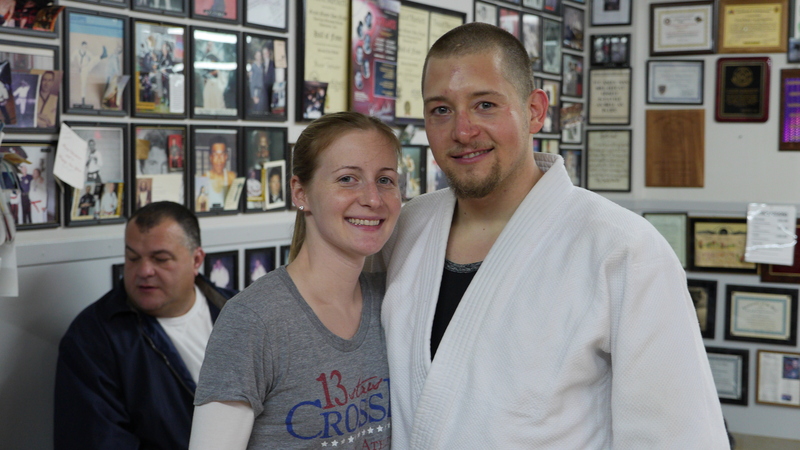 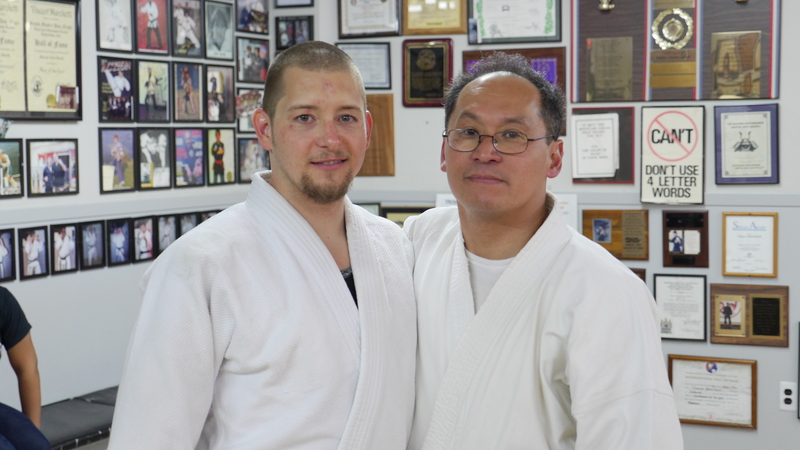 We will post pictures and an article about Grandmaster’s visit to the grand opening in our next article.